Chicken pox is usually a self-limiting viral infection that gets resolved in a period of 9 to 10 days, and there is no permanent cure for this condition. Chicken pox treatment measures are aimed mainly at alleviating the symptoms of the condition, while the body’s immune system fights the chicken pox virus, Varicella-Zoster, and clears it from the body. A characteristic symptom of chicken pox is an extremely itchy skin rash that consists of red spots and liquid-filled blisters. Besides the rash, the other major chicken pox symptoms are mild fever, malaise, headache, and loss of appetite. Since the virus is highly contagious, the primary way of countering its spread is by keeping the infected person indoors until all of his blisters have crusted over. 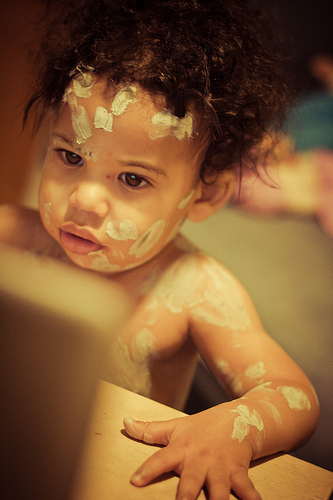 Chicken pox treatment involves measures that help soothe the itch and ease the discomfort. Acyclovir (or Acycloguanosine, ACV) is a drug given to lessen the severity of the typical skin rash caused by the Varicella-Zoster virus. It does not kill the virus, but stops it from multiplying. It can help reduce the symptoms if taken within 24 hours of the onset of the rash. This drug can also cause side-effects like diarrhea, nausea, and joint pain. you can give the patient paracetamol, which is available both as a tablet and a liquid. It helps ease the discomfort, headaches, and body pains. Avoid ibuprofen and other non-steroidal inflammatory drugs (NSAIDs) while pursuing chicken pox treatment as they may increase the risk of developing serious skin infection complications in children. Since the skin is sore and fever occurs often, the patient must wear appropriate clothes to feel comfortable. Light, smooth and loose-fitting cotton fabrics are advisable. Clothes can be taken off a child if the room is at normal temperature. Maintain a gentle flow of air in the room. Avoid using a fan directly over the person to cool him. Instead use a fan on the other side of the room to keep the air circulating. Do not cold-sponge a person who has fever. Drinking lots of water is a must, especially when antiviral treatment is being given. This prevents dehydration by compensating for the water lost from the body because of the fever, or the side-effects of antiviral treatment, such as diarrhea. If you suffer from chicken pox, it is highly likely that you’re infectious, especially from about 2 days before the rash first appears to the time all the spots have dried and crusted. For this reason, don’t venture into crowded public places and stay indoors. Children with chicken pox should stay at home and not be sent to school. Chicken pox treatment measures can alleviate the symptoms to some extent, but the condition will take time to resolve itself. Chicken pox prevention is definitely better than cure, especially in adults who have not had chicken pox before, as the symptoms tend to be more severe in such cases. This entry was posted in Chicken Pox and tagged chicken pox cure, how to treat chicken pox by Dr. Nivedita Dey. Bookmark the permalink.